Slow Cooker Mashed Potatoes are creamy, fluffy, delicious and easy to make. 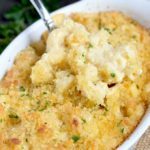 This Crock Pot Mashed Potatoes are the perfect and most convenient side dish to serve any day but especially during the holidays. Mashed Potatoes are one of my favorite side dishes to serve. 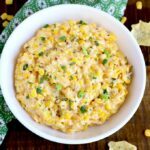 They are the ultimate comfort food side dish! 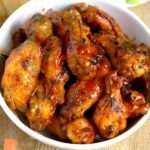 They seem to pair well with most dishes and everyone always love them. 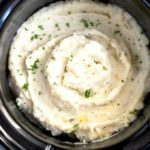 Just like my Creamy Instant Pot Mashed Potatoes, making mashed potatoes in the crock pot is all about flavor and convenience. Saving time, saving space and having minimal prep is what these Slow Cooker Mashed Potatoes are all about! 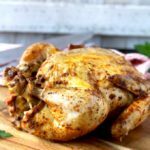 If you ever had to make a holiday dinner from beginning to end, whether it is Thanksgiving, Easter or Christmas, you know it’s all about having enough oven space and stove top space while trying to keep all your food warm for when dinner is ready to be served! Even for a trained chef, this is a hard task to manage at home. This creamy Crock Pot Mashed Potatoes free up your space so you can make other dishes at the same time. 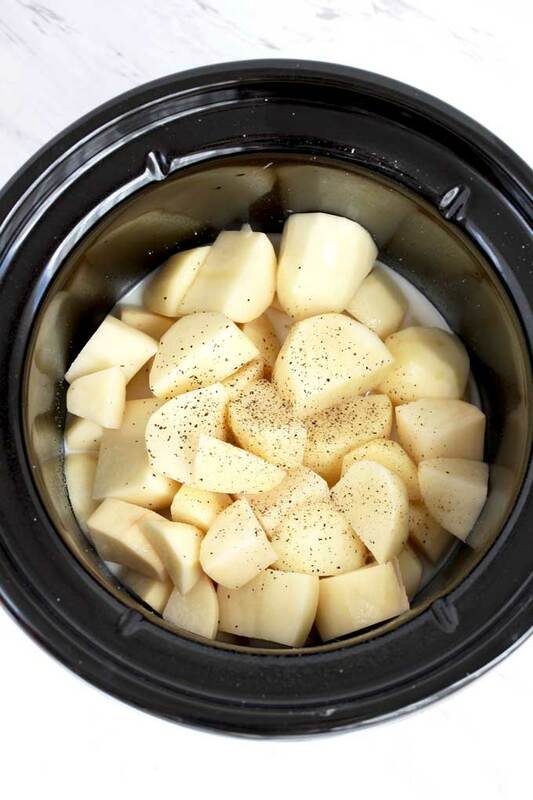 Minimal prep, peel and cut the potatoes and place them in the crock pot with the rest of the ingredients. Of course, you can keep the potatoes with the peel if you prefer. 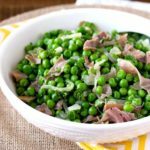 No pre -boiling is required for this easy and tasty crock pot side dish! Keep the mashed potatoes warm in the crock pot until you are ready to serve them. No reheating will be needed. Customize the recipe to make it your own! 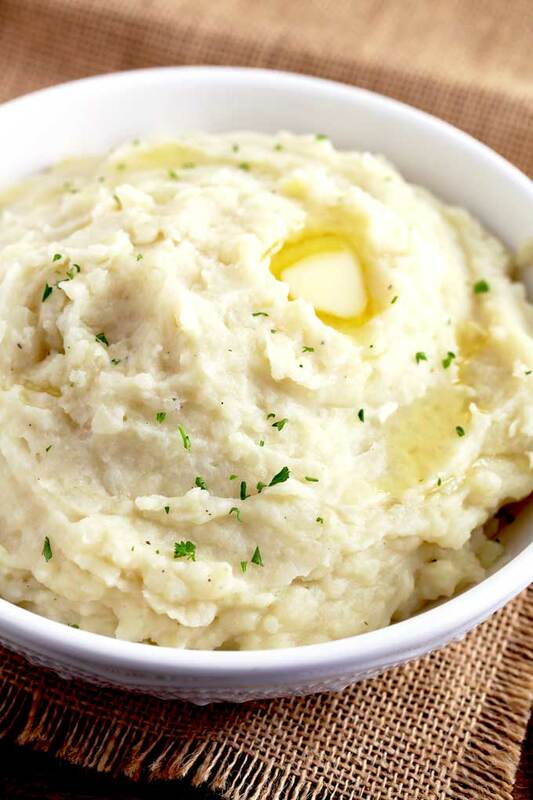 This is a basic Slow Cooker Mashed Potato recipe. You can add as many mix-ins as you wish. 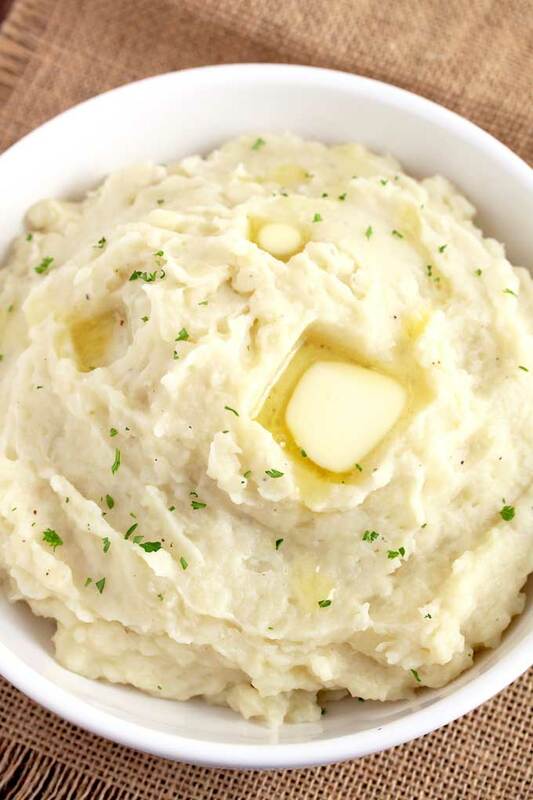 What are the Best Potatoes to Make Slow Cooker Mashed Potatoes? Starchy potatoes like Yukon Gold and russet potatoes are ideal for mashing. They produce creamy and velvety mashed potatoes. Because you are using less liquid to make crock pot mashed potatoes, starchy potatoes tend to oxidize a little bit in the slow cooker. Do not panic if you see this happening. When you mash the potatoes and add the rest of the ingredients you won’t even notice it. Cutting the potatoes in smaller chunks, also helps to prevent some oxidation. Waxier potatoes like red and yellow potatoes, don’t tend to oxidize as much. However, they take longer to get smooth and creamy when mashing. For that reason, sometimes they tend to get “overworked” ending up a bit gummy. The best tool for mashing potatoes is a simple potato masher or potato ricer. I know many people who uses a hand held mixer to whip their potatoes. As long as your potatoes are hot, they will easily mashed into fluffy and creamy potatoes with a simple masher. Never use a blender or immersion blender to mash potatoes. They will turn gluey. Here are a few mix-in ideas so you can create your own delicious potato mash! 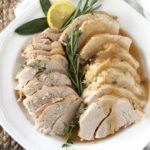 After making mashed potatoes in the crock pot multiple times, I found that the tastiest and creamiest mashed potatoes are the ones cooked in a combination of chicken broth and milk – same amount of each ingredient. However, you can cook the potatoes in just broth. Although I use chicken broth for extra flavor, you can use vegetable broth as well. 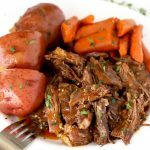 To finish this easy slow cooker side dish, besides butter I use Half and Half and a bit of sour cream. 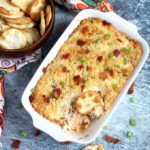 I love sour cream mashed potatoes and I can never have enough of them! Other great option is to finish the potato mash with just Half and Half, with heavy cream or a combination of both. Heavy cream and butter truly produce the creamiest most decadent, full flavored mashed potatoes ever! Potato Peeler, My favorite peeler! 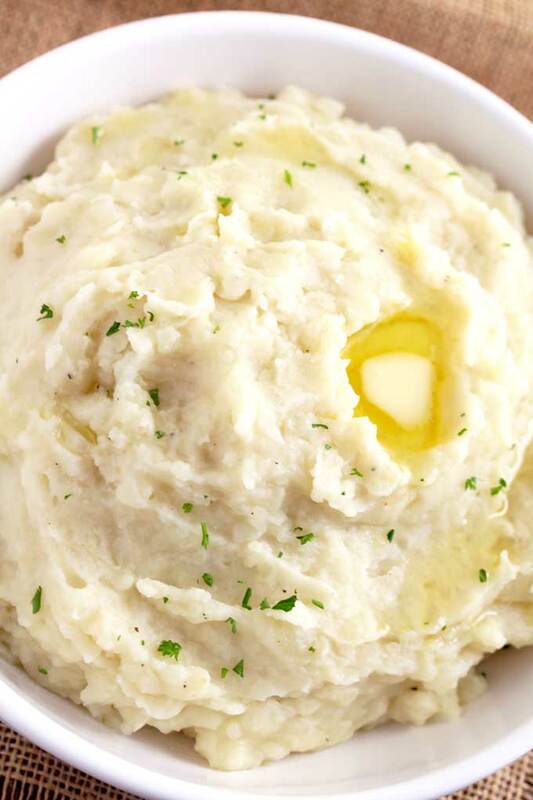 WANT TO TRY THIS SLOW COOKER MASHED POTATOES? 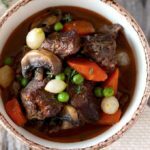 PIN IT TO YOUR SLOW COOKER OR SIDE DISH BOARD TO MAKE IT LATER!! 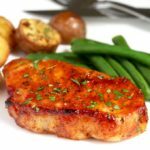 Grease the slow cooker insert with butter or cooking spray. Place the potatoes in the slow cooker. Add the broth and milk and season lightly with salt and pepper. Using a masher, mash the potatoes until smooth. Add the butter and stir to combine. Add the Half and Half and sour cream and mix well. Add additional Hal and Half if needed until you reach your desire consistency. Season with salt and pepper to taste and serve. You can keep the mashed potatoes warm in the crock pot until ready to serve. Potatoes cooked with milk produce creamier mashed potatoes, however you can use just chicken broth to cook the potatoes if you prefer (1 cup). For richer, creamier potatoes, use heavy cream instead of Half and Half. For lighter potatoes you can use milk instead of Half and Half and cook the potatoes just in broth (1 cup). I love how doing the mashed potatoes this way leaves room in the kitchen/stove for other things! Diversify, baby!! I’ve never done mashed potatoes in the slow cooker, but now I need to try them! This looks so creamy and good! Thanks for the tater tips as well! Thank you! It really saves kitchen/stove space!! I love the idea of being able to free up my stove to make these creamy delicious taters! This will come in handy on Thanksgiving! I bet these mashed potatoes turn out silky smooth! They look so delicious and comforting. 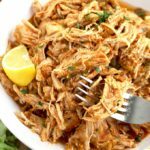 Definitely a space saver during the holiday season to make these in a slow cooker! We usually enjoy plain mashed potatoes, but I sure love all the add in ideas you gave me! 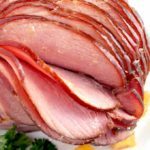 Im always looking for ways to not use my oven/stove at thanksgiving! What a great idea! 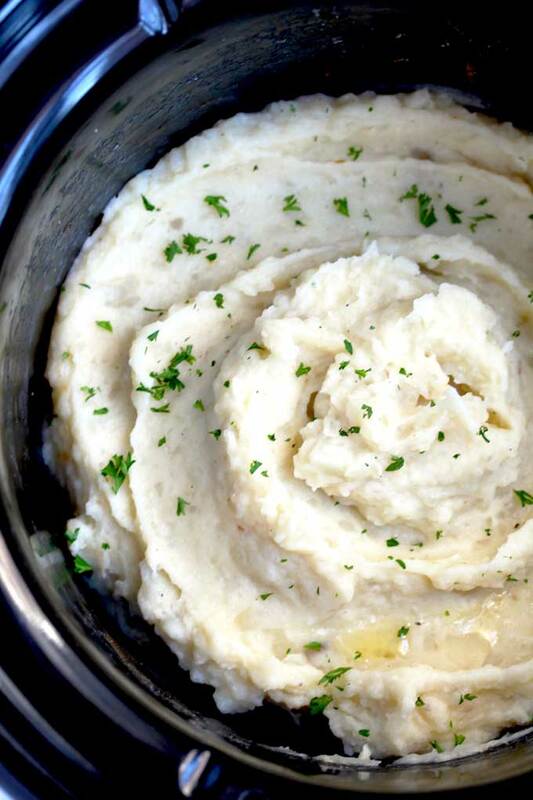 Making mashed potatoes in a slow cooker is a brilliant idea! I can’t wait to make this for Thanksgiving! I use the microwave as my quick version to make mashed potatoes but once I get my instant pot this Christmas I will be making them like this! !